Worth every penny! Made in England. Expensive, but worth it. 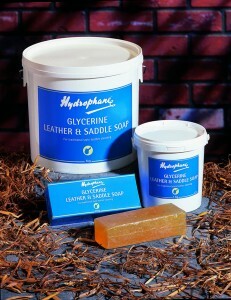 The proven and established ingredients of glycerine combine in a gentle soap. It cleans and protects leather articles and tack. Regular use keeps leather soft and pliable. Ensures a beautiful appearance.